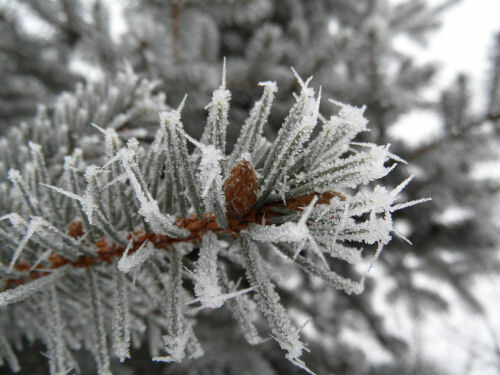 For me, winter is a time of reflection. I think back on the year that has passed and ahead to the one which is yet to come. As the days get shorter and so much colder, I hunker down and do things that I neglected over the summer when all I did was want to spend my time outdoors, mainly in my garden. 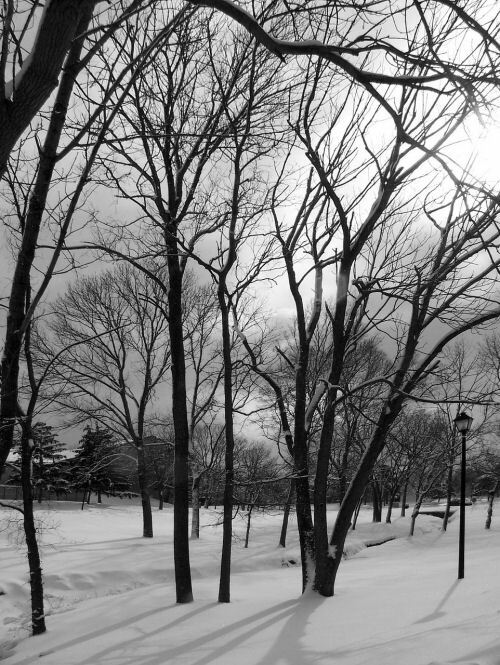 Winter has so many faces. I was born in Maine, so I am used to deep snow drifts and a coating of white over everything. But here in the south, it’s a rare treat for me to have snow. My family sometimes envies my warmer winter temperatures, but don’t realize how homesick I feel when I wake up one morning to a covering of the thick white coating. To remind you (and me!) 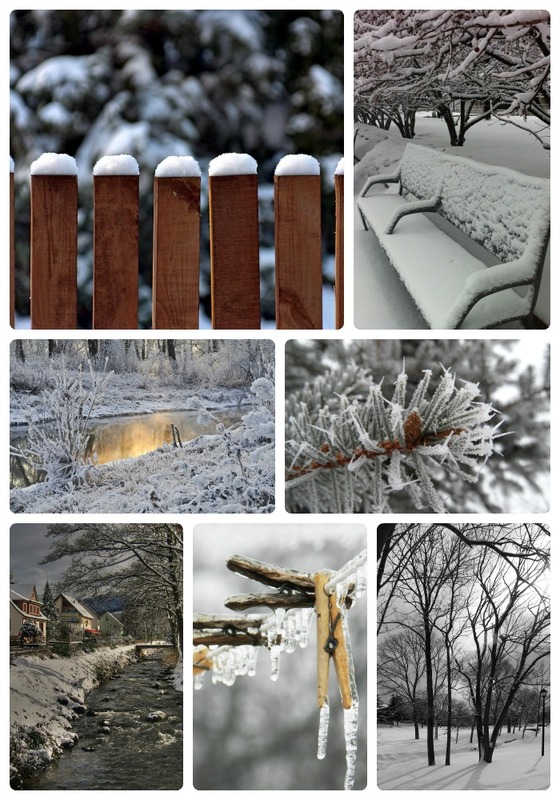 just how lovely the world looks with a blanket of snow, I’ve put together a round up of some beautiful winter scenes for a little design inspiration as you prepare your homes for the upcoming holidays. 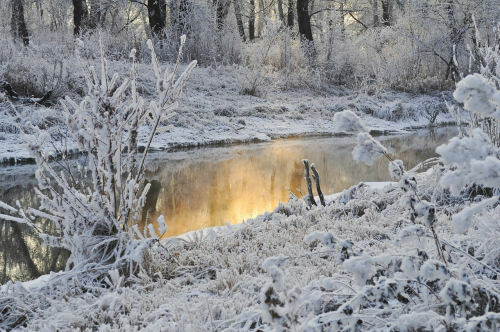 Winter scene at dawn. So bleak and yet so beautiful. 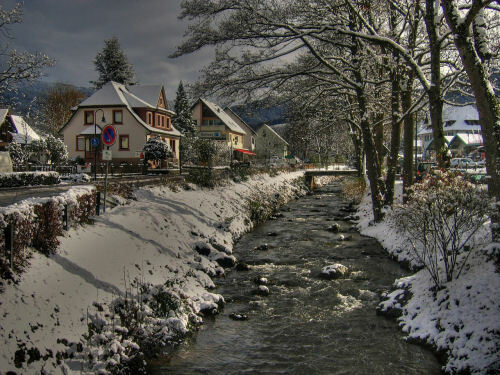 Black Forest Village Scene, Germany. 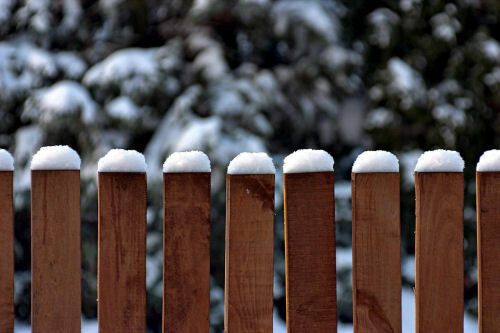 The simplicity of this snow covered fence really appeals to me. 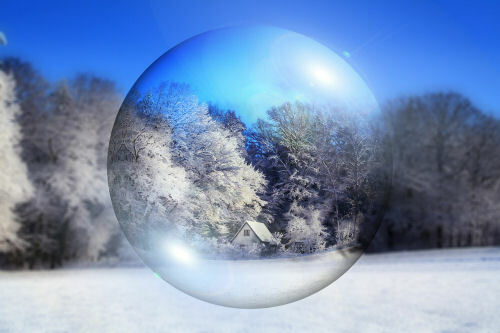 Beautiful Winter scene through a clear ball. Makes the term snow globe so much more accurate! The sun shining on the water makes it almost look warm, even with the snow all around it! 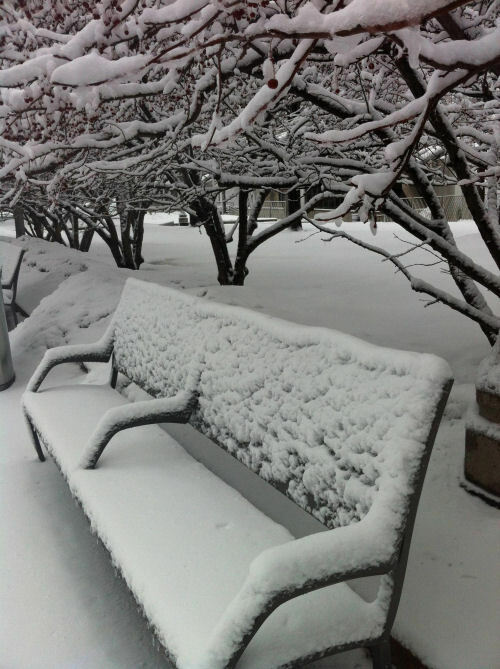 A park bench with a fresh coating of snow. Beautiful! 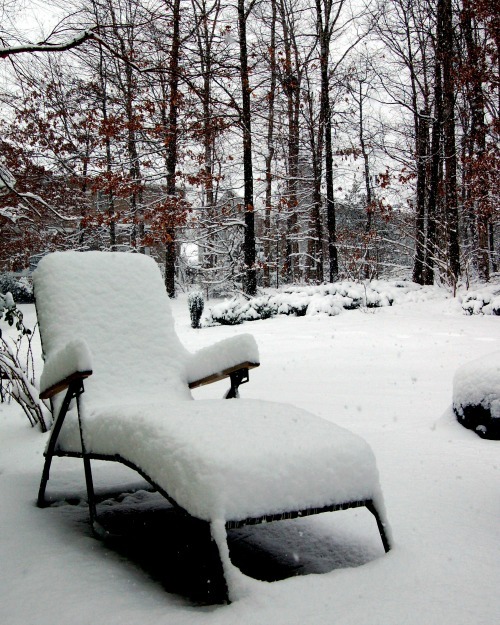 A Chaise lounge covered with fresh snow. I can’t decide whether to look back to a few months ago or forward to next summer! 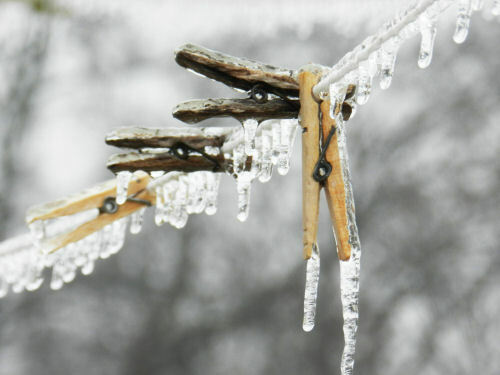 Frozen clothes pins covered in ice. I wonder how long it has been since they held clothing? 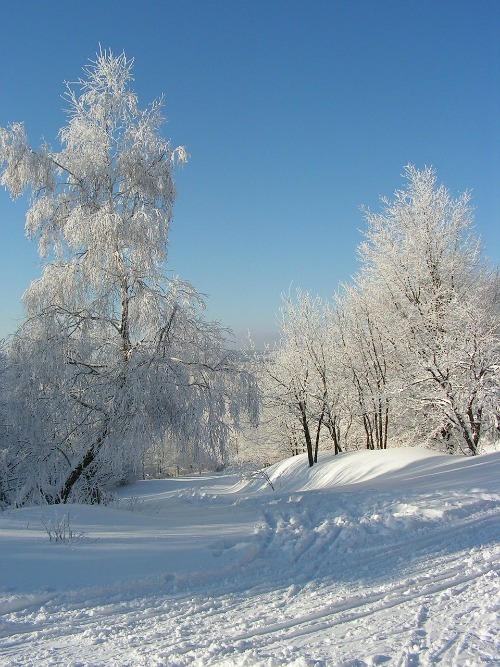 This scene reminds me of so many skiing trips that I took to Sugarloaf Mountain with my family. Nostalgia personified!